An oil spill off the coast of Louisiana has been steadily dumping oil into the Gulf of Mexico since 2004, when a mudslide triggered by Hurricane Ivan buried an offshore platform. As oil continues to spew at a rate of between 300 and 700 barrels of oil per day, the spill is joining the ranks of the worst offshore accidents in the history of the United States. According to the Washington Post, there are many wells owned by Taylor Energy that have not been capped, and the leakage could continue throughout this century. With no solution in sight, this disaster will likely pass up BP’s Deepwater Horizon event as the largest marine oil spill in the history of the petroleum industry. 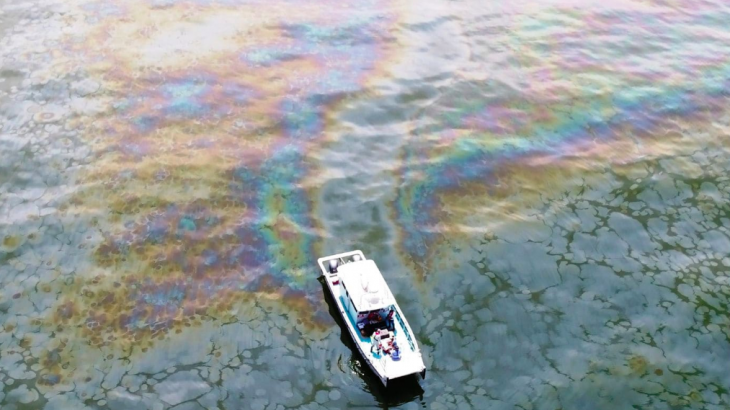 The Taylor Energy spill was not discovered for six years, when oil slicks were found by experts investigating the Deepwater Horizon accident just north of the site in 2010. A lawsuit against Taylor alleges that the company was not disclosing the oil spill to protect its reputation. In a deal with government officials, Taylor established a $666 million fund to stop the oil spill. Despite extensive efforts to seal the wells, the leakage continues. Meanwhile, a proposal by the Trump administration aims to open 92 percent of the outer continental shelf to oil and gas exploration, leasing, and drilling. Along the Atlantic coast, where drilling has not taken place in over 50 years, the shoreline is much more susceptible to hurricane disasters compared to the Gulf Coast. Peg Howell is a petroleum engineer who has worked in the oil industry and is a founding member of Stop Offshore Drilling in the Atlantic (SODA).